If you love art, you simply have to pay a visit to the Primrose Gallery at Thrapston in Northamptonshire. For many years, we have been delighting you with work from wonderful artists, printmakers, sculptors, jewellery makers, ceramicists and specialists in glassmaking. 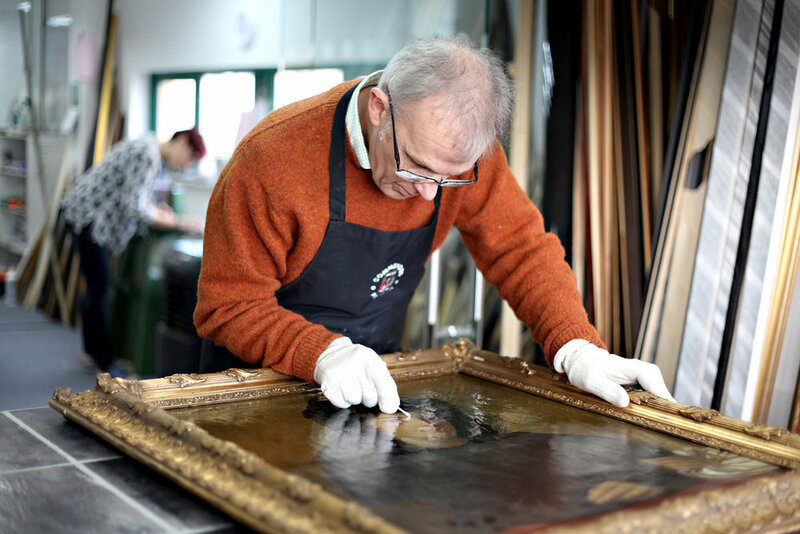 We also offer you a bespoke picture framing service, plus picture cleaning and restoration service. Whether you’re looking for Animal, Cityscape, Contemporary, Equestrian, Landscape or Coastal Art, we’re sure to have the perfect piece for you. Call in today and find yours. Thank you for joining our VIP Art Club. Click here for your first exclusive offers. We are delighted to be able to represent some outstanding artists from across the globe. After 16 years in the business, you can imagine we’ve met a lot of talented people. On this website, you’ll find the work of some of our favourites - but it’s only a fraction of what we sell. Many of our wonderful pieces of art come framed for you to hang at home straight away. But if you want to create something unique, you can take advantage of our bespoke framing service. For a small extra cost, our Fine Art Trade Guild Commended framers will be happy to recommend the best way to mount or frame your new artwork. Then it will be perfectly displayed and give you pleasure for many years to come. For more information give us a call on 01832 730022.